It is so important to take care of our well-being. We are practicing, talking about and engaging in mindfulness and well-being lessons in school to help develop our mindset and look after our well-being. ​4th and 5th class have been discussing how important it is to recognise how we're feeling and then how we respond to them. We have been learning and talking about how to change some 'negative' feelings into 'positive' feelings, for example, jealous that the person beside you always knows their tables! - instead of responding negatively e.g. putting yourself down, respond positively, for example, I need to go home and learn them - I can do it! ​and it still remains true to this day! 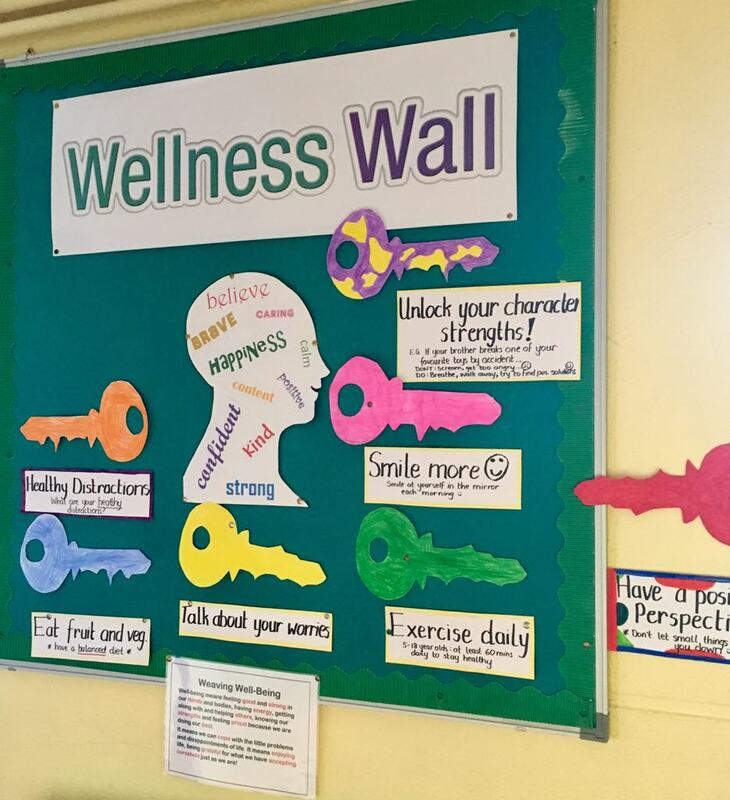 4th and 5th class have been engaging in lessons in Growth Mindset or 'growing our brains'. Sometimes it is easy to focus on the things that we may not be so good at and ignore the things that we are good at. It is all about the idea that our skills, talents, knowledge etc. CAN be developed. I am no good at this! What can I do to improve? This will do! Is this my best work? I'll never do it, it's too hard! This may take some time and effort. ​Sometimes it can be difficult to talk about what is bothering us or playing around in our heads. But, as the saying goes, 'a problem shared is a problem halved', and it was an idea to create a 'worry box' in the classroom. This box is used by the children to 'share' their worry or problem that they feel they cannot say aloud, yet. It encourages sharing and talking about your worries and develops upon the idea that no problem is too small to be shared. The boys are engaging in yoga lessons for a 40 minute professional session one morning a week. Our yoga instructor, Sharon McGovern, is guiding the boys through the different stages, focusing on posture, breathing, balance and flexibility. ​Yoga encourages positive well-being, taking time out each day to relax and think about how we actually are and promotes concentration and focus.